The title of our post is where we are at right now!! Between maintaining the test tracks, building events, and keeping our riders taken care of – the Dream Traxx crew has just been rotating suitcases. We have been on one plane and in one state one week, home for a day or two, and then off to the next stop. Hence…the rotating suitcase! We love this time of year, but it sure is busy. We do have a few open weeks until the end of the year -so if you are wanting a ‘Dream Track’ be sure to give us a shout and reserve your week now! 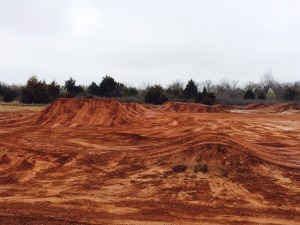 We have been wide open in the track building world! 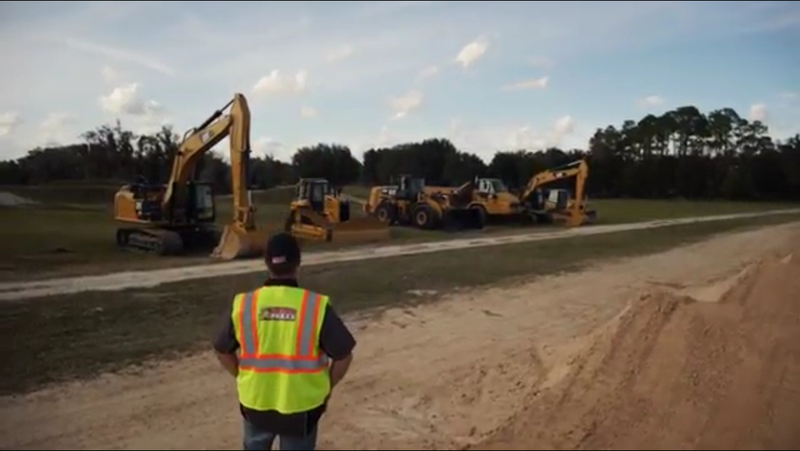 From Kentucky, to Texas, to Florida – we have had 3 crews going at once. 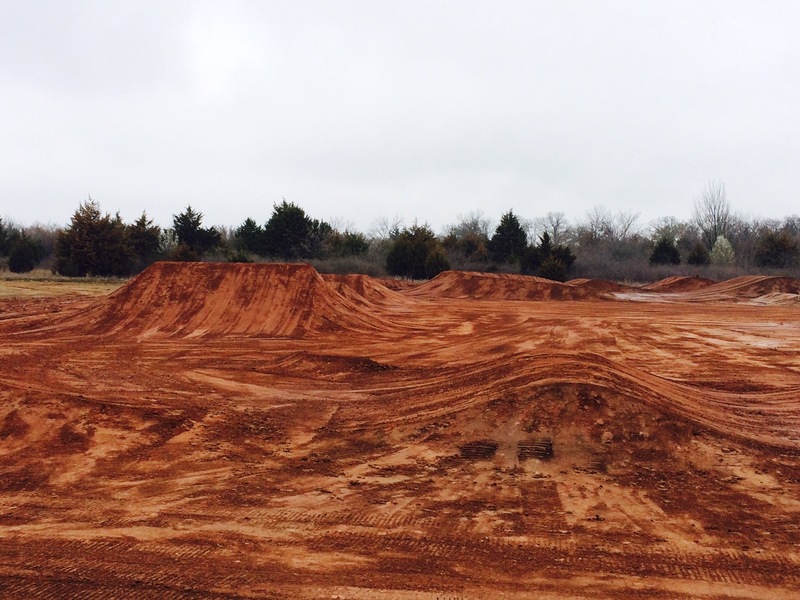 Stay tuned for footage from the Unlimited Off Road Expo in Kentucky, as well as some clips from X-Games Austin! It all started with a dream. 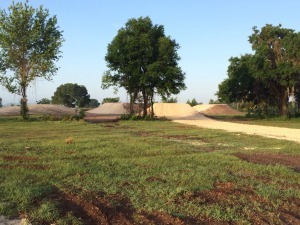 First, it was a dream to be a professional motocross racer. 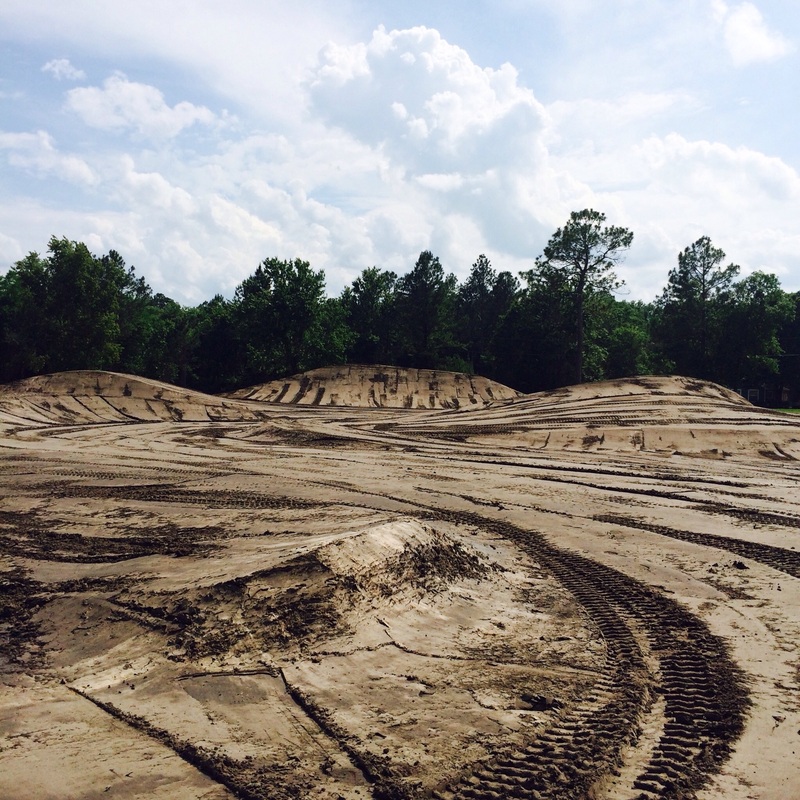 Then, it was a dream to become one of the best motocross and supercross track builders in the world. Now, it is Dream Traxx! Dream Traxx began over 10 years ago, when the riding boots were put away, and the dozer blades began digging in. 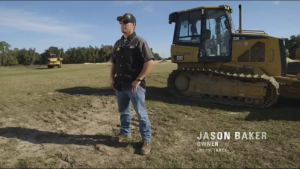 After years of battling the ups and downs involved with running a small business, Dream Traxx owner Jason Baker received a phone call that made all of the years of hard work and dream chasing pay off. It was like, wow, I have actually done it. My dream is reality. 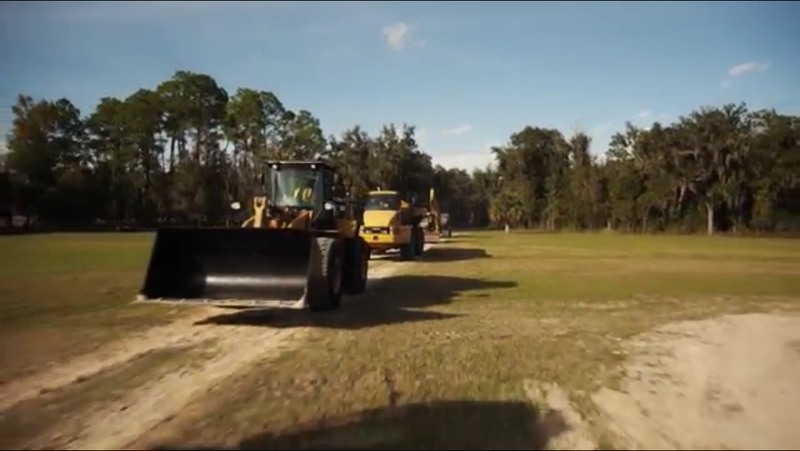 That phone call was from Caterpillar Corporation, the industry leader in construction equipment throughout the world. The next few moments of the phone call left Jason speechless. “We are impressed by your work and would like to feature your company in our national ad campaign”, are the words Jason heard. In case you do not know much about Dream Traxx, they are a construction company that specializes in the design and building of Supercross and Motocross tracks. They travel all over the United States, and to many other countries around the world. They often have very tight schedules that requires them to be in California one day, and Florida the next. 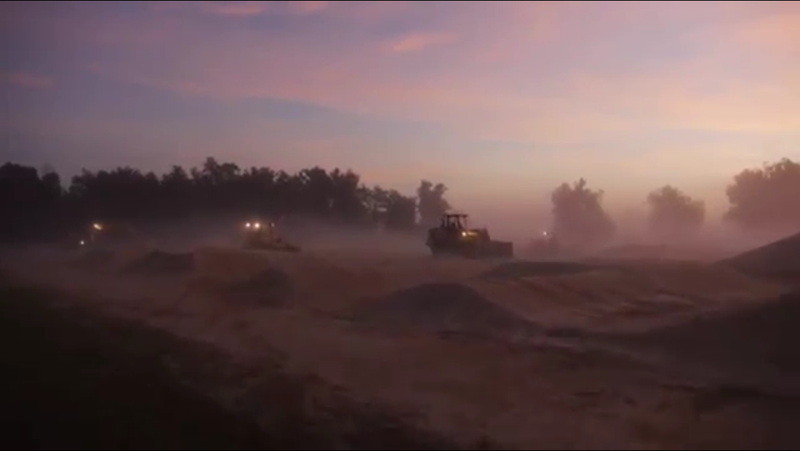 So, owning all the pieces of equipment needed to build motocross/supercross tracks did not make sense for the company. Dream Traxx has relied on Caterpillar Rental since the very beginning. When executives from Ring Power Caterpillar saw photographs and footage of the work Dream Traxx does, they were amazed at how their machines were being used in a whole new realm. Their equipment is known for creating roads, buildings, and many other types of construction projects. The work of Dream Traxx showed that their equipment is also creating works of art. This artistic dirt work also helps the top athletes of the sport pursue their dreams by having the best tracks in the world to train on. 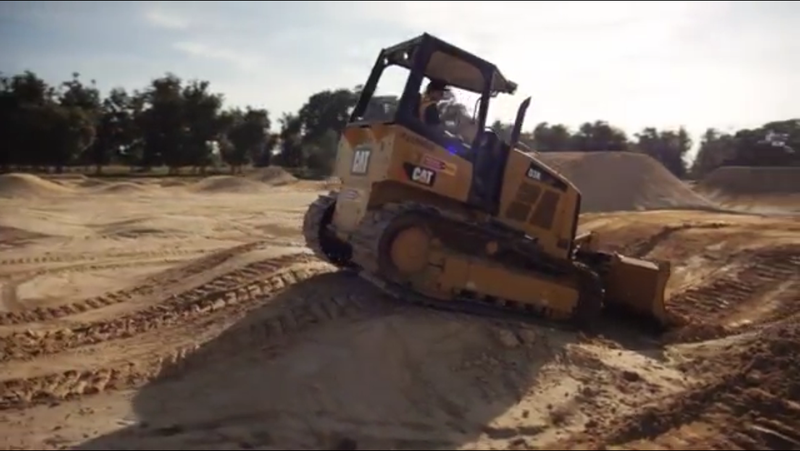 After months of phone calls, meetings, emails, and scheduling – the Caterpillar Corporation and their filming crew brought an entire fleet of photo and video equipment to the training compound of multi-time champion Ryan Villopoto. They spent 3 days at the facility interviewing, filming, asking questions, watching the crew build, and finding out all about the sport of motocross and supercross. After their time there was complete, it is safe to say that a handful of new fans had fallen in love with our sport! Dream Traxx hopes you enjoy this behind the scenes look at the company and their relationship with Caterpillar Corporation. A special thanks to riders Kyle Chisholm and Zack Freeberg.